Kaye Ballard, a comic actress and singer who was a regular presence on TV for decades and starred in the late-’60s NBC comedy The Mothers-in-Law, has died at 93. Ballard had appeared on a couple of TV programs when she was cast as Marge opposite Jane Powell and Cliff Robertson in the 1958 big-screen musical comedy remake of The Girl Most Likely. She would appear in a handful of movies in the ensuing decades, but TV was her go-to medium. In 1967 she starred with Eve Arden in The Mothers-in-Law, playing half of an unconventional couple, the Buells, who was best friends with their very-straight suburban neighbors the Hubbards (Arden and Herbert Rudley). he also recurred on The Doris Day Show in the early 1970s, made dozens of visits to The Tonight Show Starring Johnny Carson and The Mike Douglas Show and did more than a 150 episodes of The Hollywood Squares from 1967-69 and again in 1975., Ballard also guested on dozens of TV shows form the 1950s into the ’90s. 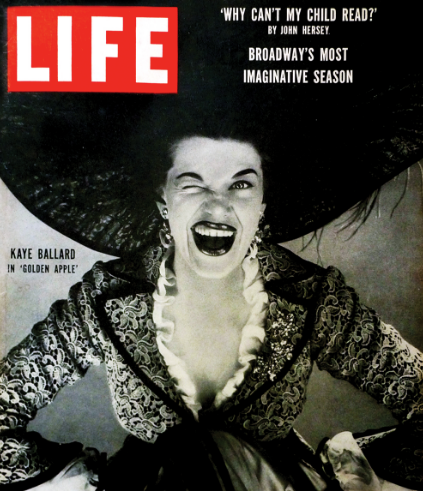 Ballard attended a screening of a documentary on her career titles Kaye Ballard: The Show Goes On, less than two weeks ago at the Palm Springs Cultural Center. She was a very funny lady, had a very long career, and always made you laugh whenever she was on screen. She will be missed, but definitely fondly remembered.